Looking for a shampoo that is suitable for men? 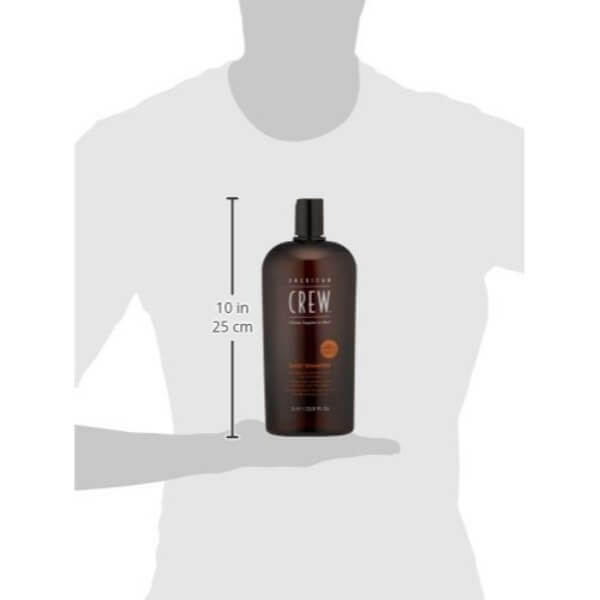 Check out the collection of American Crew, one of the best hair care product brands for men. Men’s Daily Shampoo is a favorite amongst their selection of high-quality cleansers. It is perfect for men who like to keep their scalp fresh and clean. 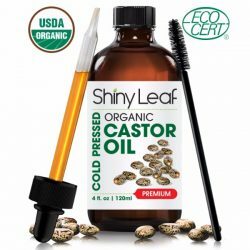 It removes excess oil, dirt, and flakes to keep scalp healthy. This daily shampoo promotes healthy hair growth as well. Cleansers can sometimes make hair dry and brittle. Harsh cleansers increase hair damage and breakage. Men often have an active lifestyle and they are prone to sweating. Since men are more prone to dandruff, it is important to cleanse scalp thoroughly without making it too dry. A gentle cleanser such as American Crew Men’s Daily Shampoo is perfect for this job. Some hair products leave residues on scalp as well. These residues can dry hair or form into flakes that may trigger dandruff. Having a healthy and clean scalp is important to keep hair thick and resilient. To promote healthy hair growth, make sure to always wash away the dirt and oil from scalp. 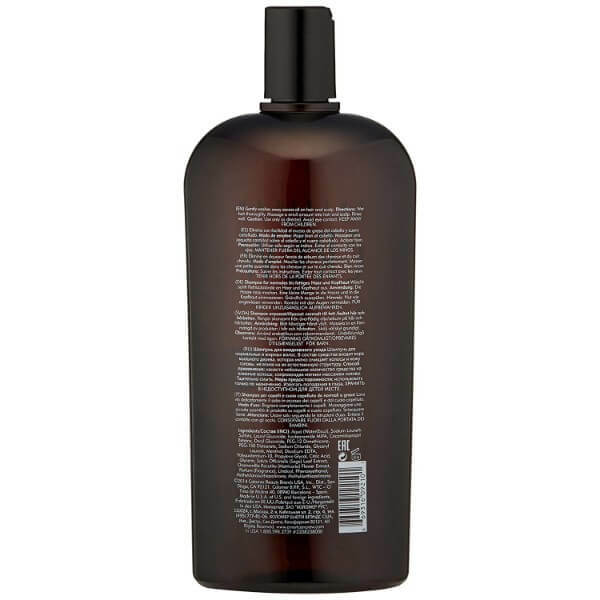 A nourishing shampoo stimulates the scalp for healthy and thick hair growth too. 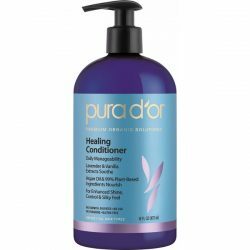 This shampoo has conditioning properties that keep hair conditioned for a long period of time. 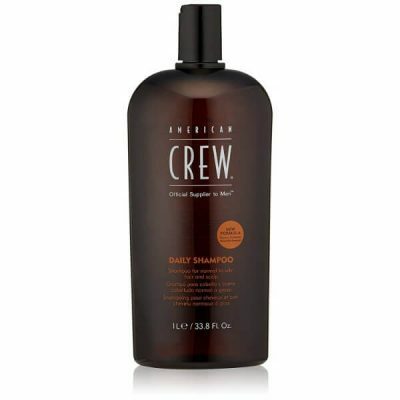 American Crew Men’s Daily Shampoo has an improved formula that will help keep normal hair and scalp healthy. 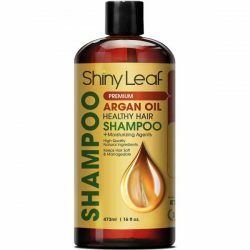 The formula for this shampoo contains sage leaf and chamomile extracts. Both of these ingredients have benefits for hair. They prevent bacteria from surviving in scalp. They protect hair color from fading too. With a gentle formula for cleansing, hair gets extra shine and bounce after just one wash. Reduce dryness and hair breakage by using mild formulas such as American Crew’s daily shampoo for men. Use regularly to get great results. Wet hair and scalp thoroughly. Put a dime-sized amount of shampoo to palms and apply to hair. Lather and massage on scalp for a minute. Rinse using lukewarm water. Use the product daily to get noticeable results. 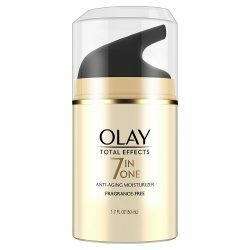 Aqua (Water(Eau)), Sodium Laureth Sulfate, Lauryl Glucoside, Isostearamide MIPA, Cocamidopropyl Betaine, Decyl Glucoside, PEG-12 Dimethicone, PEG-150 Distearate, Sodium Chloride, Glyceryl Laurate, Menthol, Disodium EDTA, Polyquaternium-10, Propylene Glycol, Citric Acid, Glycerin, Salvia Officinalis (Sage) Leaf Extract, Chamomilla Recutita (Matricaria) Flower Extract, Parfum (Fragrance), Linalool, Phenoxyethanol, Methylchloroisothiazolinone, Methylisothiazolinone.